2. A softbox is big, and can not be carried around. 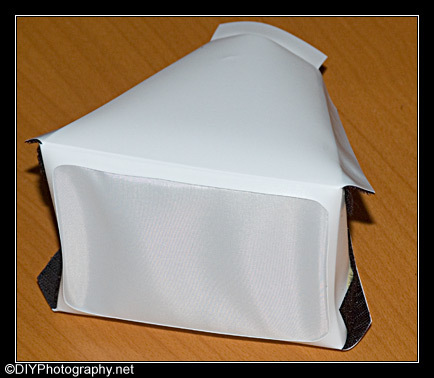 The amateur photographer can compromise and us a flash mounted softbox like this softbox from Lumiquest, or a stoffen box. 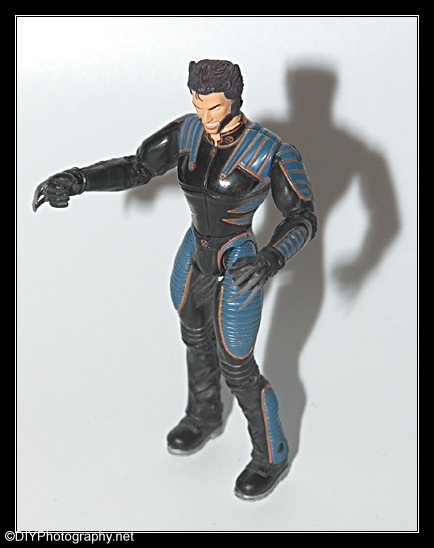 The problem with this one (although a minor one compared to the “big” Softboxes), is the cost, nearing 30 dollars. Well, I guess that for some 30 bucks is no big deal (and especially no big deal for photography equipment), but I am going to try and do even better. 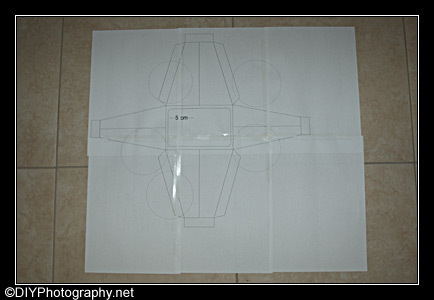 In the following tutorial, I will demonstrate how to make your own flash mounted, homemade softbox (view results). You will need two good hands, and some patience, but your reward will be a nice softbox for the cost of only 3-4 dollars. 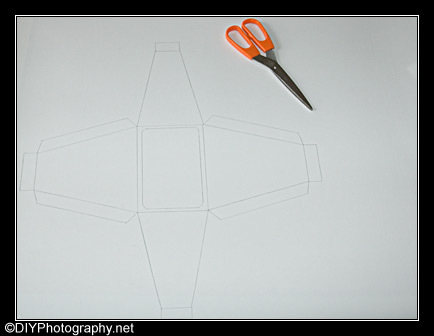 (Not to mention that wonderful feeling of cutting and gluing, like you are small kids again). 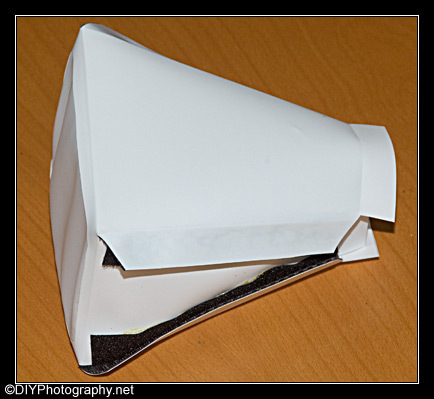 you might also want to check out the DIY Mini Flash Bouncer Guide or the DIY Mini Flash Diffuser Guide as alternate diffusing solutions. One 10cm X 15cm white silk sheet. (You can probably get this for free from your local fabric store). Some Velcro. (I use stitching Velcro that costs 1$ a meter). Template for softbox found here. I have place a more friendly format here (© 2006 Udi Tirosh. OK to print for personal, non-commercial use). 1. 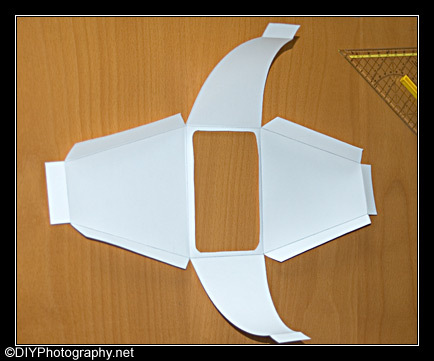 Download the softbox scheme found here (© 2006 Udi Tirosh. OK to print for personal, non-commercial use). 2. 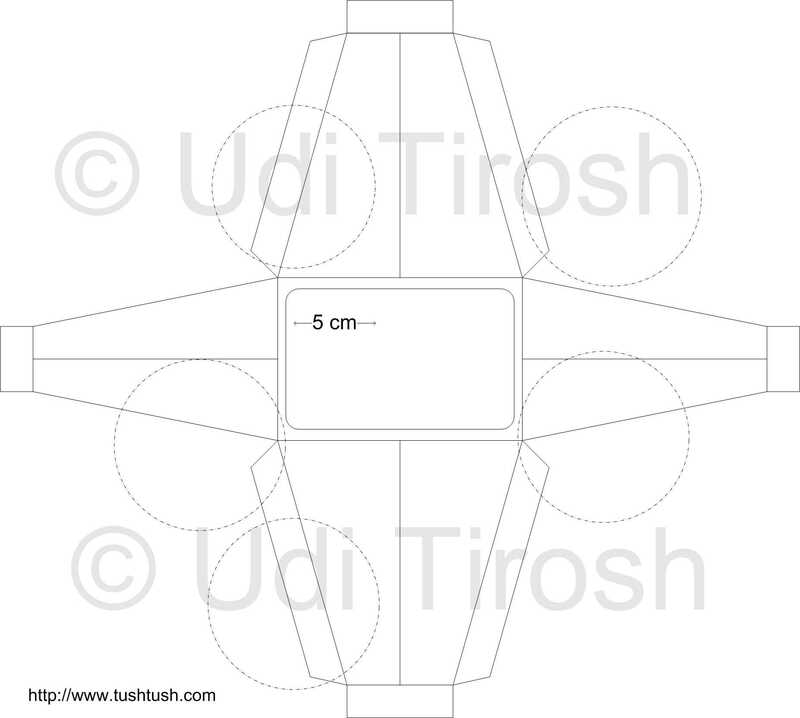 Print the scheme at its original size (should take about 6 A4 pages – three wide and two long). good old mspaint (the crappy painter that comes with windows) can do the job. 3. 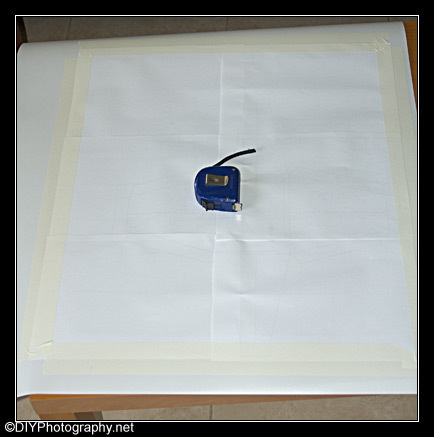 Glue the sheets of paper together. (You can use the circles as place keepers between the sheets). You know you had it right if the 5cm mark on the paper actually is 5cm. You should end up with something like this. 5. Cut at the outer lines, you should get something like a star. Then remove the inner square (it should look like an old TV set). 6. 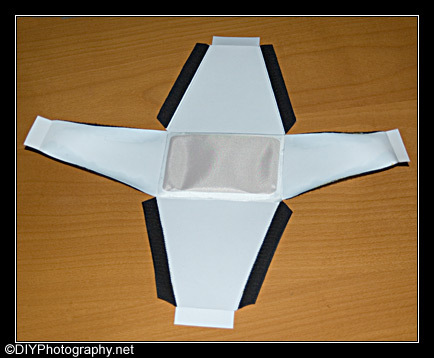 Now glue the Velcro over the “star” edges to form a closable box. 9. Great, you are done. Here is a test I made with (upper) and with out (lower) the Flash Mounted Softbox. You can see that the light is harsher on the bare flash. (Both pictures taken with Nikon D70, at ISO400 with an f/8 s=1/200 with the Nikkor 28-105 lens at 105 mm, and my good old SB-28). I used the background from the cheap home-studio setup. The difference on the model is not a great example but take a look at the shadow. Softening shadows is what these things are designed to do.